Today’s fun picture for the Capture Euphoria with Ben & Jerry’s bloggers challenge is a picture of me after my run this morning. 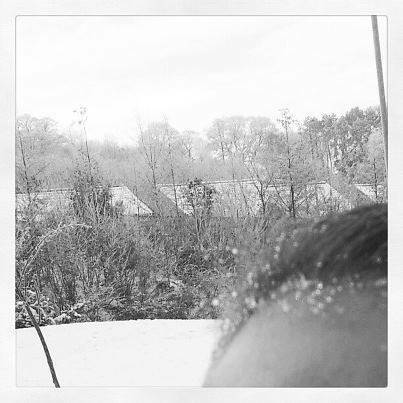 -6 degrees when I set off for to run with a friend and when I arrive home my hair and eyelashes were frozen. Only manged 6 miles with how cold it was, then later managed another 4 hope this counts for my mid week long run for Marathon training!! So 2 runs to clock up into my #runstreak today and 10 miles even in snow makes a very happy me, not to mention 104 miles ran this month already in 16 days, when in December I manged 98 for the whole month. Polka Dots : Creative Mondays Blog Hop..
"The Ben & Jerry’s Capture Euphoria Challenge: Day Two / Wordless Wednesday Blog Hop…"
"The Ben & Jerry’s Capture Euphoria Challenge: Day Four : Runstreak Day 17…"
No way I would run in those temps, my skiing and snowboarding girls might. Great photo of the snow. Holy Shnikes Bat Girl! I thouhgt I was the only one crazy enough to run with frozen eyelashes! What are you training for?? BTW, been cleaning up my "subscriptions" and came by to see if you were still up and running – glad you are!! 🙂 Happy New Year!